The Fort Scott Community College Nursing Department offers students an Associate of Applied Science Degree in Nursing for students who have completed prerequisite courses and four semesters of nursing courses. Graduates are eligible to take the national licensing exam for registered nurses (NCLEX-RN) and to apply for state licensure as a registered nurse. 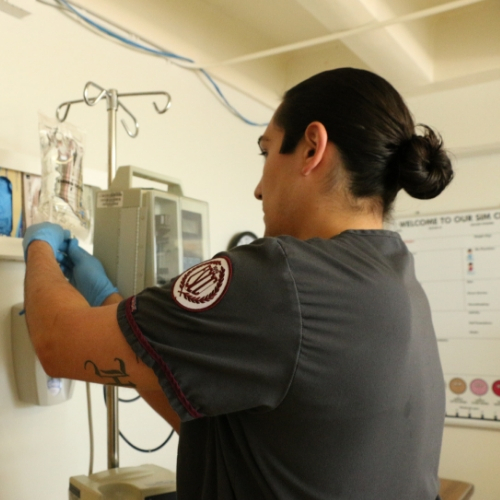 Our program prepares students for beginning staff nursing positions and delivering nursing care to individuals and groups as members of a healthcare team to promote health and wellness. FSCC's Nursing Department participates in the Kansas Academic Progression Model, which allows LPNs who hold a Kansas license to continue their studies at FSCC to obtain an associate's degree in nursing. 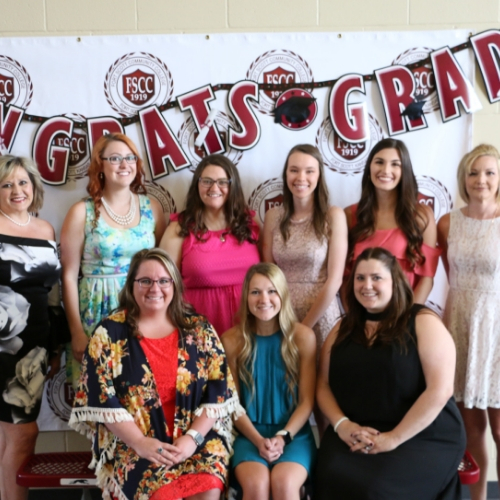 FSCC nursing graduates can continue their studies at any of the state’s 12 colleges and universities to obtain a bachelor's degree in nursing. The FSCC nursing program is approved by the Kansas State Board of Nursing and is accredited by the Accrediting Commission for Education in Nursing, Inc. (ACEN). The nursing curriculum reflects the Kansas ADN Alignment project and is current with nursing theory and practice using Quality and Safety for Nursing Education (QSEN) as its framework. Educational facilities include four lecture classrooms, a skills lab, human simulation lab, computer lab, IV skills lab, conference/library, and audio/visual viewing room. Students may also take advantage of the student commons area for study and informal gatherings. FSCC main campus resources are available for all students. Clinical settings include healthcare agencies in Fort Scott, Paola, Girard, Osawatomie, and Pittsburg in Kansas and Nevada in Missouri. Instruction at the Miami County Campus is provided through Interactive Distance Learning (IDL) with the instructor present at the Burke Street Campus. All campus nursing lab experiences are provided at the Burke Street Campus. Although FSCC offers open enrollment, admission to the nursing program is done through selective enrollment. To apply to FSCC, click the Apply Now button at the top of this page. A separate application must be completed for FSCC's nursing program. Nursing applications are due on May 1 for the fall semester and December 1 for the spring semester. For more information about how to apply to FSCC's nursing program, click here. For further information or to set up an advisement meeting, please call the Burke Street Campus at 620-768-2908.